Peter Bazalgette (Law 1973) has been knighted for services to Broadcasting, Helena Morrissey (Philosophy 1984) receives the CBE for services to UK business, Christopher O’Connor (MML 1987) and Mark Pemberton (History 1972) receive the OBE, and Chris Heaton (MML 1971) receives the MBE for services to libraries. Peter Bazalgette (pictured, bottom) has served as chairman of Endemol UK and as a non-executive director of Channel 4, is deputy chairman of the English National Opera and president of the Royal Television Society. He is a member of Fitzwilliam’s Campaign Council. He said in the Daily Telegraph: "To receive a knighthood is a delightful compliment and I'm acknowledging it as recognition for television's thriving independent production sector in general. Chris Heaton is Head of Planning, Policy and Culture for Cambridgeshire County Council’s Libraries, Learning and Culture Directorate. 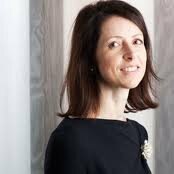 Helena Morrissey (pictured, top) is CEO of Newton Investment Management Ltd and Founder of 30% Club – a group of Chairmen and organisations committed to bringing more women onto UK corporate boards. Christopher O’Connor is HM Ambassador to Tunisia. He has summed up the year’s momentous events in Tunisia on his blog. Mark Pemberton (History 1972) is Director of National Collections, English Heritage, responsible for over 400 historic properties and monuments and the National Monuments Record. The Queen's Police Medal has been awarded to: Jacqueline Cheer (2003), Richard Crompton (2000), Alan Goodwin (1999), Francis Habgood (2003) and Adrian Leppard (2003). We believe this list to be complete - however if we have omitted any Fitzwilliam recipients of honours, please accept our apologies, and get in touch with Carol Lamb in the Development Office.